NOTE：SamuelGoodProduct is only seller for Samuel's bamboo bag. We won't carry any responsibilities for order that purchased from other seller as they are infringed our trademark copyright. We have not authorized to any others. 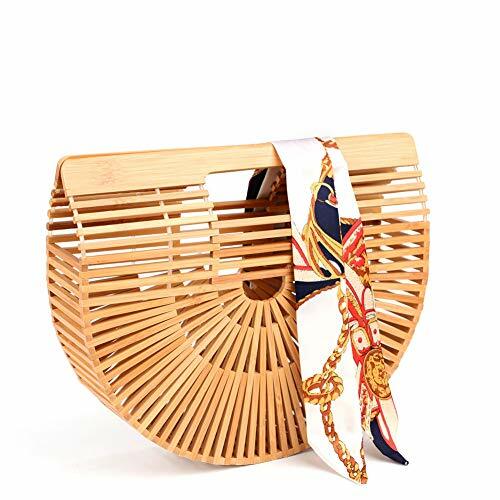 Size: This bamboo hand bag's approximate size is 11.02 x 7.87x 2.99 inch. Package: 1x Bamboo basket bag+1x Free gift(Silk scarf )+ 1x Box（Protect the bag from damage in transit). If you have any questions about this product by Samuel, contact us by completing and submitting the form below. If you are looking for a specif part number, please include it with your message. Christmas Merry Everything Jute Tote Bag, 14 1/2" x 22".